Worldbike was founded ten years ago as an organization focused on designing innovative bicycle prototypes to advance development in poor countries. Since then, their work has led to new bike technologies used in small-scale development programs in Cuba, Mexico, Rwanda, Senegal and Thailand. Over a billion people worldwide lack adequate access to transport. Most live in rural areas cut off from market, clinics and schools. Improving Health Accessing medical care in rural parts of developing countries is costly in time, energy and money. Bikes are cost-efficient ways to bring services to people and people to services. Better access to these services has shown to improve maternal health and reduce infant mortality in rural areas. The problem of rural poverty is often a problem of mobility. The most common way to get from point A to B in rural regions is on foot. Walking may be inexpensive, but it’s also inefficient when journeys involve long distances, heavy loads, or urgency of arrival, as is often the case. Increased mobility for the rural poor puts distant markets, schools and clinics within reach. Without it, development stalls. 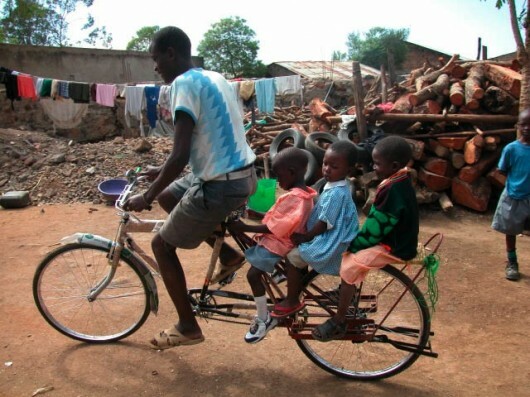 The right kind of bicycle is an ideal low-cost, efficient and sustainable development tool for the rural poor. Bicycling is on average three times faster than walking and significantly less costly than motorcycles and cars. A durable cargo bike can increase carrying capacity five-fold over “headloading”, the most common form of rural transport which involves carrying goods on the head. While inexpensive, headloading is inefficient and drives gender inequity. Worldbike designs and distributes low-cost bicycles for programs that increase economic opportunity, improve health outcomes and boost enrollment and gender equity in secondary school among the rural poor. Their bikes withstand large loads, rough terrain and inclimate weather and are configured to be not only affordable, but also maintained and repaired locally. Through partnership with international and local agencies, private companies, foundations and NGOs, they help arrange microcredit financing for bike purchases and supplement sales with support from funders and private donors. Parents who hold their daughters back from secondary school commonly raise concerns about safety risks of longer journeys on foot and increased time away from home. Bikes cut travel time and safety risks, boosting secondary school attendance among little girls and allowing more time for daily household chores. Accessing medical care in rural parts of developing countries is costly in time, energy and money. Bikes are cost-efficient ways to bring services to people and people to services. Better access to these services has shown to improve maternal health and reduce infant mortality in rural areas. The high cost of transport increases a rural farmer’s price of fertilizer and seed (farm inputs), depresses market prices for crops and livestock (outputs) and lowers overall agricultural productivity. By reducing costs and boosting productivity, cargo bikes increase rural incomes and create jobs. 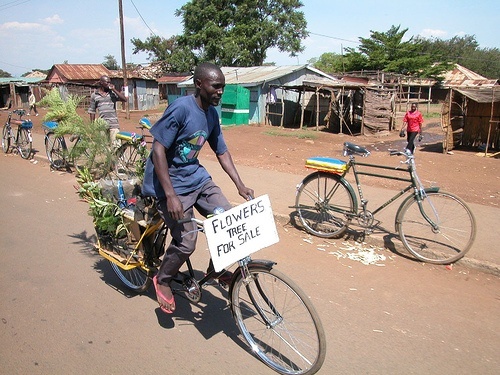 Worldbike delivers low-cost bicycles to improve livelihoods of the rural poor in developing countries. 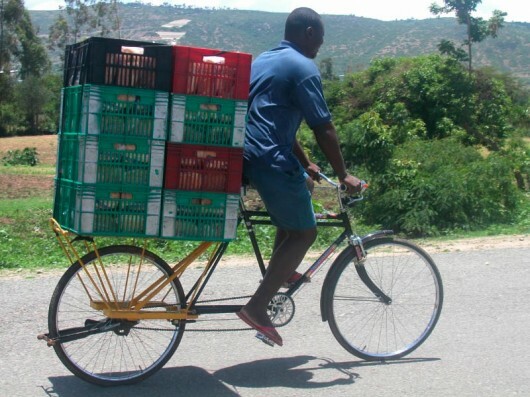 They use bikes as the foundation for rural development that is scalable, sustainable, measurable and cost-effective. Just $150 can help deliver a bike to someone who desperately needs it.